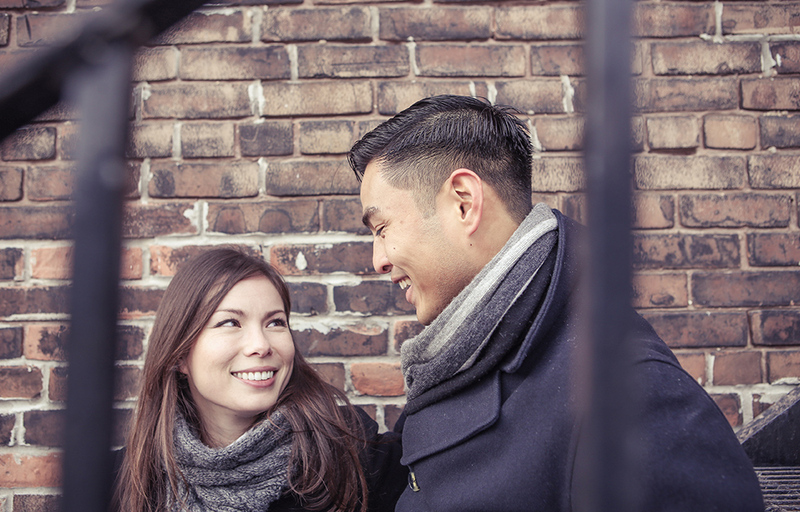 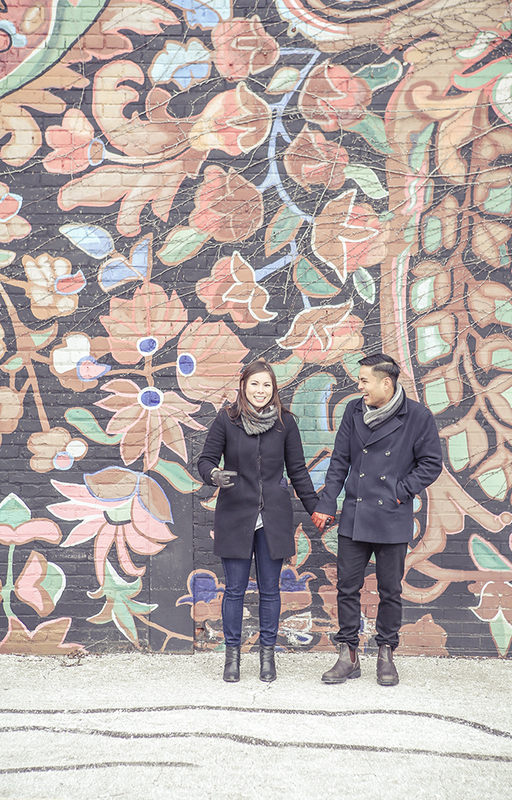 Meghan & Bien are such a sweet couple, and John had the pleasure of taking their engagement photos in Toronto this past weekend. 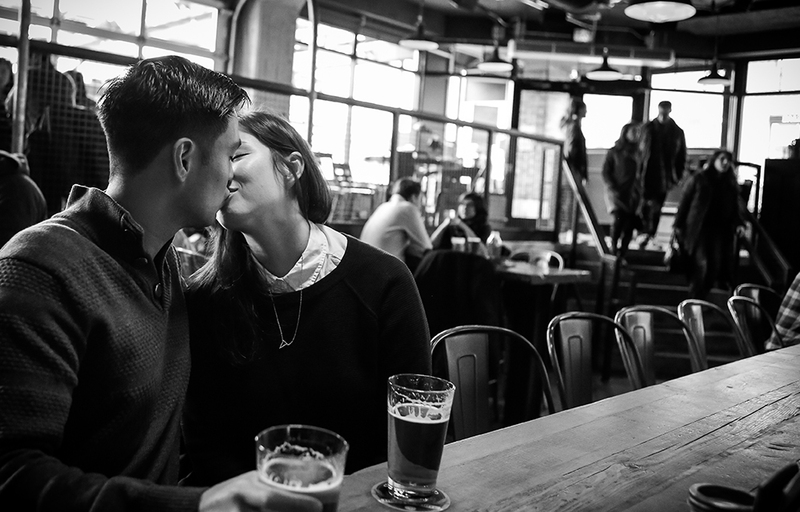 When we got to chat with Meghan & Bien and brainstorm about locations for their engagement shoot, they told us a few things about themselves to help us select the right spot: they love playing sports together, enjoy a good pint, and weren’t looking for too many romantic-style photos of themselves. 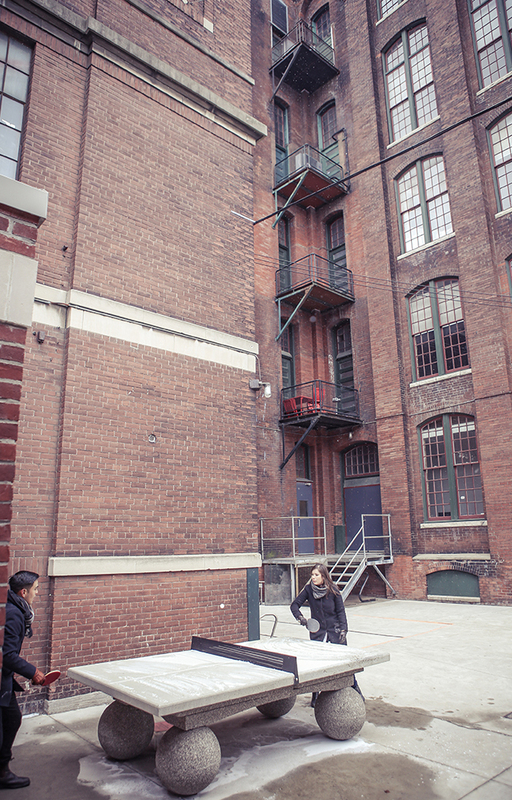 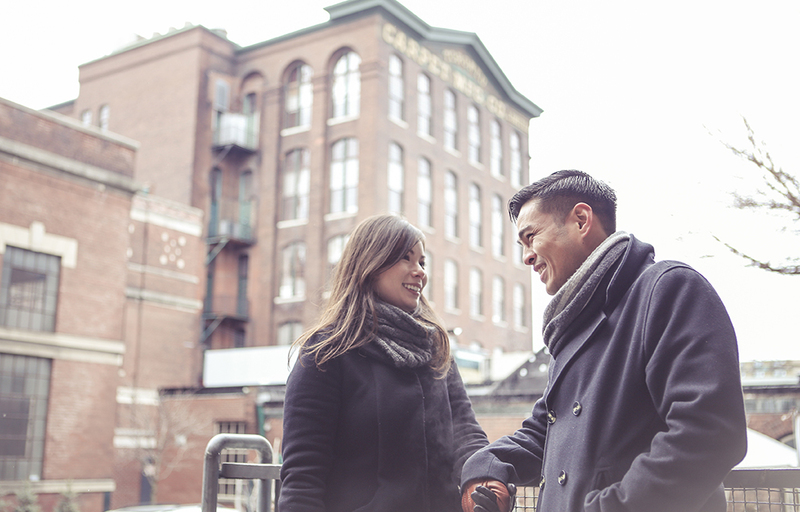 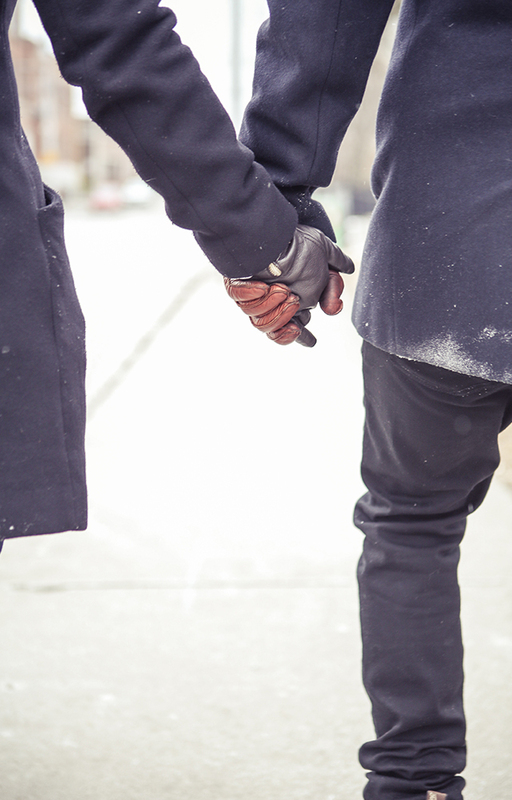 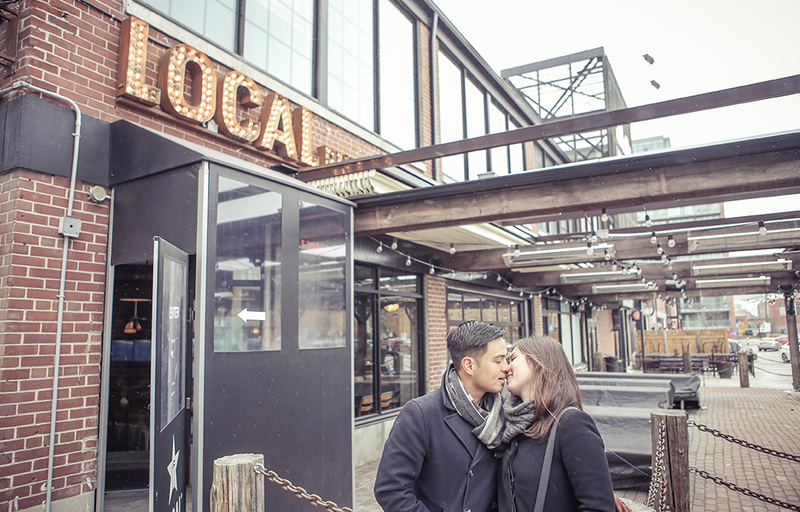 These two just wanted to have fun, so we thought their best bet might be to walk around some of the great spots in Liberty Village. 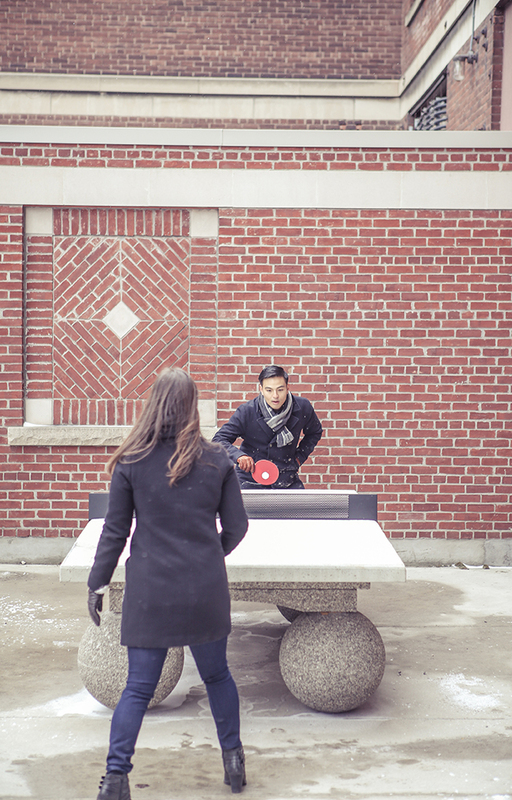 With a public access ping pong table, a great pub, and a local Roastery all within walking distance, how could we go wrong? 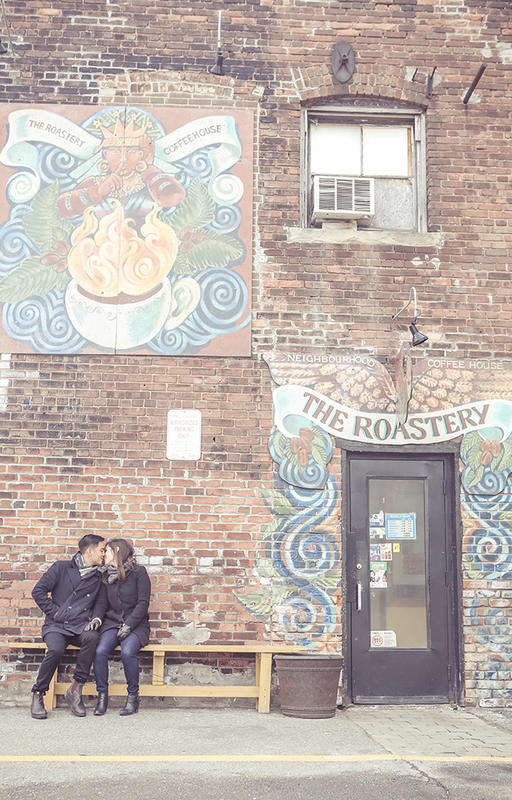 Check out some of our favourite shots from the shoot! 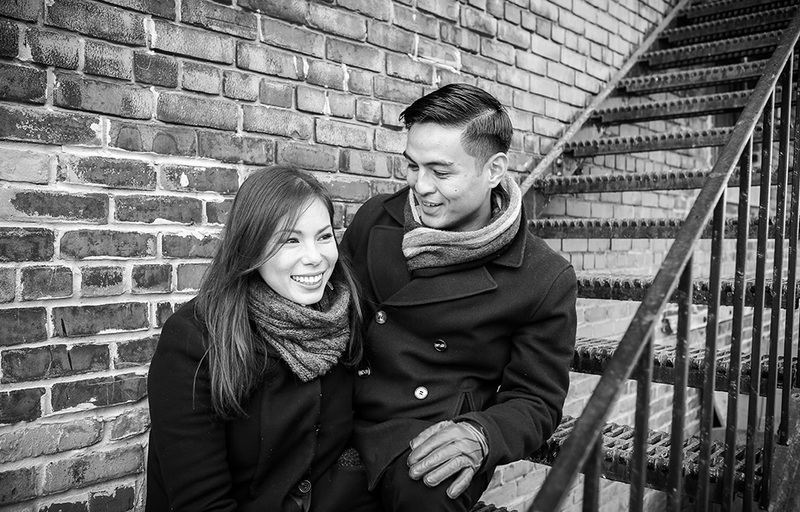 These two are great, we can’t wait to shoot their wedding this May!